The Label This web app is a crowdsourced transcription project for the Library at the University of California, Davis. 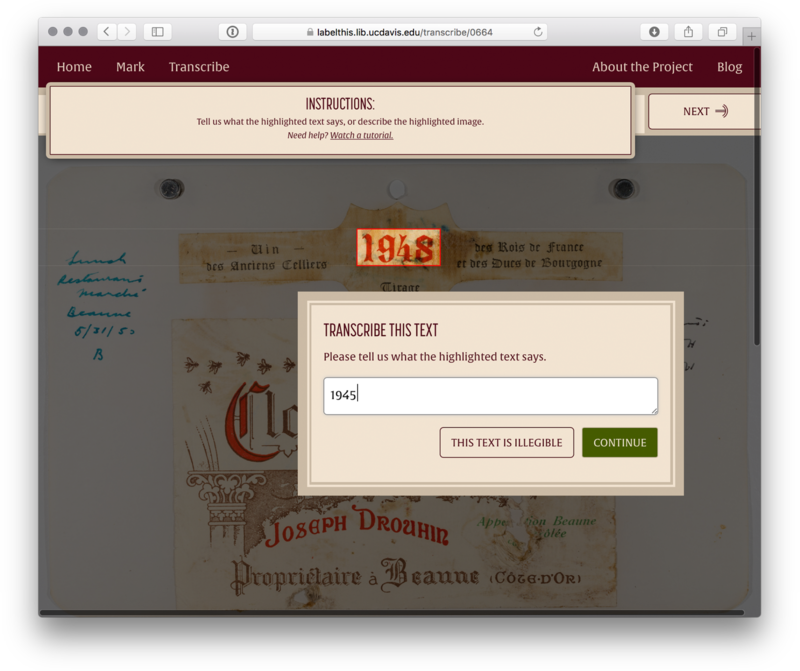 It’s based on the open source Scribe Framework built by NYPL Labs and Zooniverse. The University was sitting on a substantial collection of wine labels compiled by a prominent figure in the California wine industry—but they had no way of automatically transcribing these labels by machine, in order to extract relevant data. 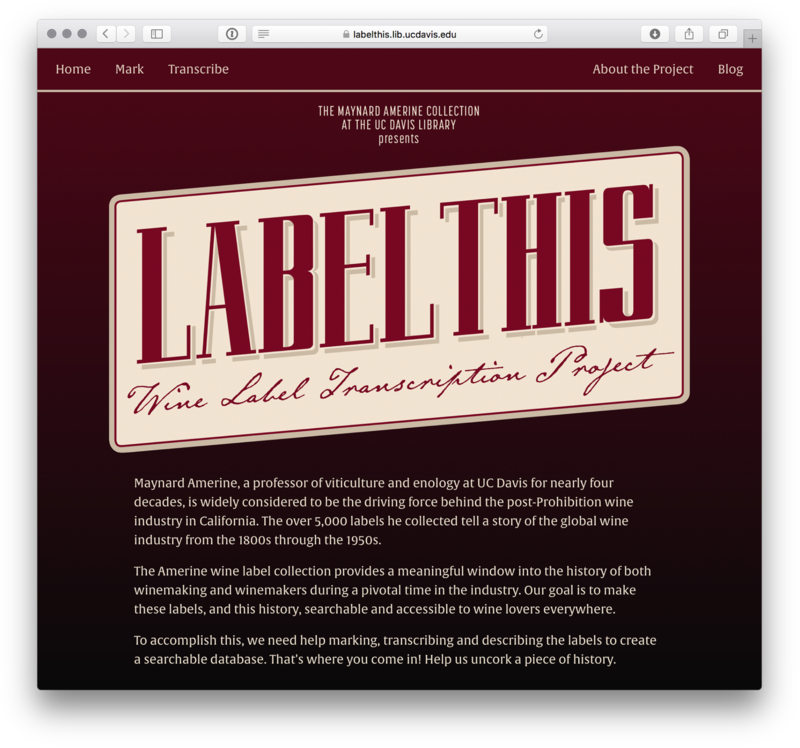 Using the Label This app, visitors to the site can browse through the University Library’s collection of over 5000 wine labels from the 20th century, and mark the different text or image areas that require transcription. 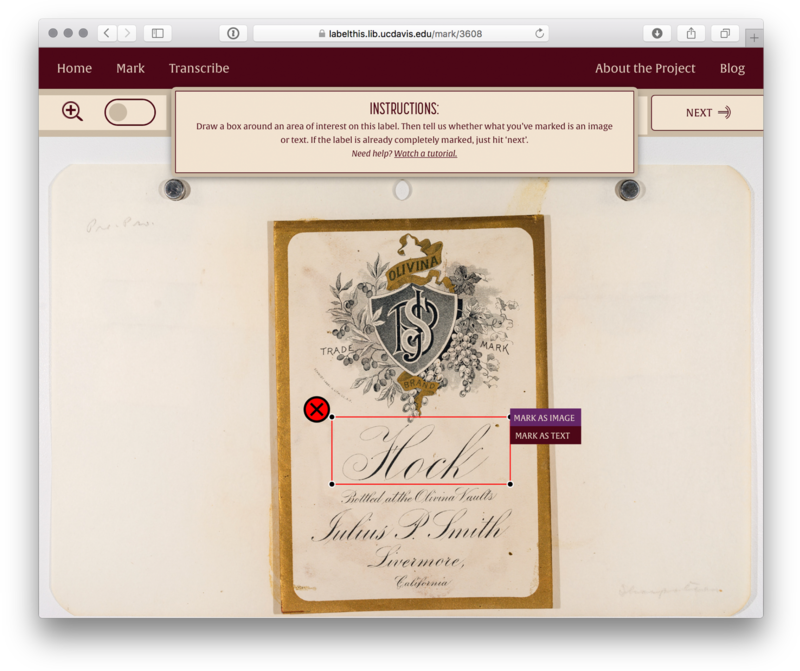 Once images are marked up, users can then transcribe the previously marked areas, and help the Library create meaningful data out of these labels. 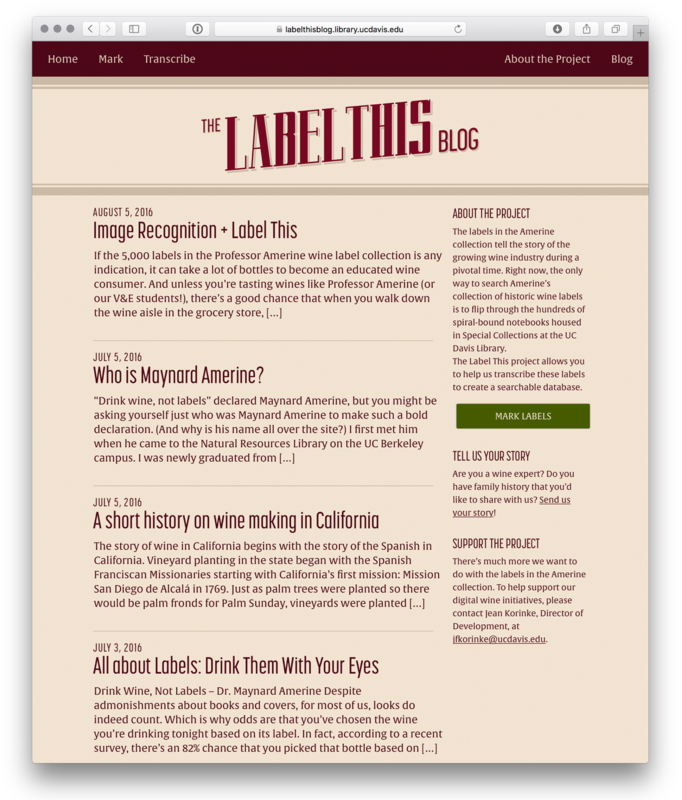 In addition to the web app, the Label This site also includes a blog, where wine experts from the University can publish updates and further inform the public about the Library’s conservation efforts. If you have a project you think might be up Pablo’s alley, drop him a line. The very best way to reach him is via email, at pablo@defendini.com. You can also often find him on Twitter, Instagram, GitHub, and Behance.